Enter to win the Off-Road Adventure Dream Giveaway and you’ll bring home a brand-new Polaris RZR XP 1000 side-by-side utility vehicle (UTV). 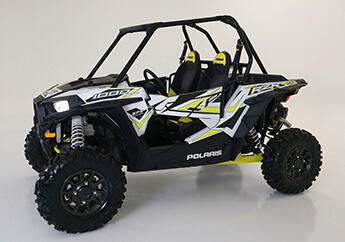 The Polaris RZR XP 1000 is today’s most popular two-seater UTV and the top-selling high performance UTV in the industry. For more than 30-years, Polaris has been building the best off-road vehicles on earth. Vehicles that perform better, work harder, ride smoother, and deliver the ultimate riding experience. 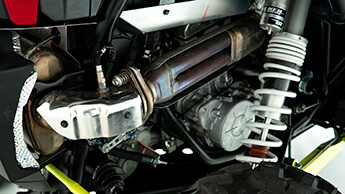 Donate today to help charities and get ready to take your high-performance adventures off road. Desert and dunes, rocks and rivers, mountains and marshes—they’re all conquerable with your new RZR XP 1000. Backyard or backwoods, the Polaris RZR XP 1000 is your passport to wherever your next adventure leads. 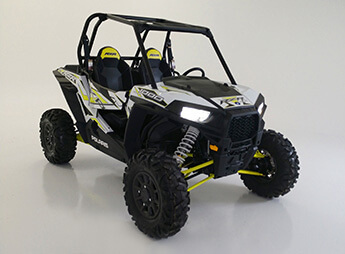 Watch any televised UTV racing event and you’ll find the Polaris RZR XP 1000 at the front of the pack. 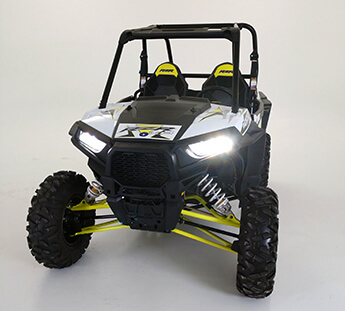 In fact, in the past two race seasons alone, the RZR line of UTVs has won more than 45 First Place and 122 podium finishes in prestigious races like the Mint 400 and the UTV World Championship. If competition is your thing, your new Polaris RZR XP 1000 is ready to put you first across the finish line. And even if your idea of a victory circle is relaxing back home after a fun day on the terrain or trail, the Polaris RZR XP 1000 has you covered. This grand-prize Polaris RZR XP 1000 can handle your toughest challenges. It features a ProStar 1000 H.O. engine designed with 110 horses, high performance True On-Demand All-Wheel Drive (AWD), Walker Evans needle shocks and 13.5” ground clearance to get you over the biggest obstacles. Do you need to bring gear on your next off-road adventure? The Polaris RZR XP 1000 offers a best-in-class 740 lb. payload capacity. Its 9.5-gallon gas tank means you can stray far from home … and far from the nearest gas station, all in a day of fun.